The restoration of this very rare Rolls Royce 20/25 Vanden Plas was instructed by Overton Vehicle Overhauls. The hard trim interior sections of this vehicle had at some point suffered from a very poor hand varnish and were not in a good condition. 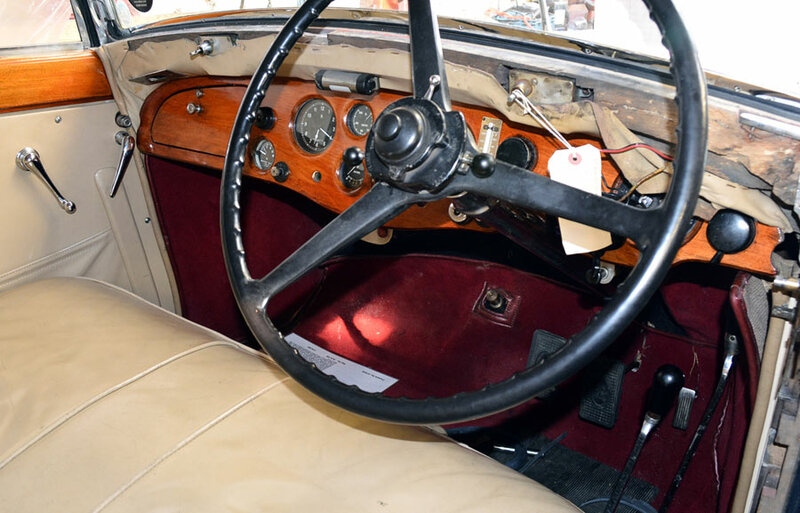 The whole interior set was fully restored, including many repairs, filling the unwanted gauge holes in the dash and veneering the dash sections in a lightly figured European Walnut. The addition of a period correct ashtray from another vehicle was also reworked to match the restored dash. The gallery details the restoration showing a complete transformation of the interior of this vehicle.